Stevie Wonder could have seen this one coming. The NYPD was excoriated by Twitter users for after the departments @NYPDNews twitter account encouraged users to tweet photos of their experiences and use the hash tag #myNYPD. People of color (particularly black people) are overrepresented on Twitter in relation to their percentage of the population in the U.S. The NYPD has — at BEST — a rocky relationship with New York’s black community and significant national media attention was given to the organization’s stop and frisk policies. The aforementioned link is a mere search for “stop and frisk.” New York dominates the top end of the results. The communications team is supposed to safe guard the brand. President Obama doesn’t go to CPAC, Republican candidates tend not to wade into liberal spaces for this very reason: Walking into knowingly hostile environments leads to adverse outcomes. Complex and Salon have compiled some of the more… interesting submissions. As Complex reported, there were less than ten positive submissions. This was a debacle. And a predictable one at that. And while there’s plenty of space to pile on the communications team, but that’s not necessary. What is necessary is a detailing of the communications and PR takeaways to avoid being the next contestant on that summer jam screen. No matter how you feel about police or policing, the NYPD does not have a good reputation for treating people (of all races) like people. Twitter is the wild west of social media, with many of the Anonymous, Occupy supporters, and Black Twitter taking up space as influencers. When you toss meat into the lion’s cage, can one be surprised when it’s eaten? Larger organizations are giant targets on Twitter. If you’re a communications professional and know your client isn’t the most well-liked, stick to safer forms of media campaigns. Social media without a purpose is like putting a loaded gun in the hands of an untrained user. Sure, everything could turn out fine, but why take the chance? The NYPD’s Twittter account should be utilized for two things: 1. Communicate information to the community and the media and 2. Communicate quickly during a crisis. The NYPD isn’t an organization that depends on people spending money for its survival. Save the cute campaigns to organizations that have more social capital with their constituents. Know that communications doesn’t fix everything. The NYPD could have used this as an opportunity to initiate some (or further) dialog with the community about its concerns. But that would assume that the NYPD cares enough about its image among the community in the first place. Claims of police brutality are hardly new. Good, proactive communications and public relations starts with preventing bad behavior from occurring in the first place. When that doesn’t happen, dialog would have been a show of good will. Instead, the organization acted like nothing ever happened and tried to proceed as if all was well. While the NYPD won’t be brought down by this, other entities may not so easily recover from the stench of a social media campaign gone wrong. So that was a bit of a PR disaster for NYPD.. never mind what Commissioner Bratton has said about positive reinforcement of the engagement. 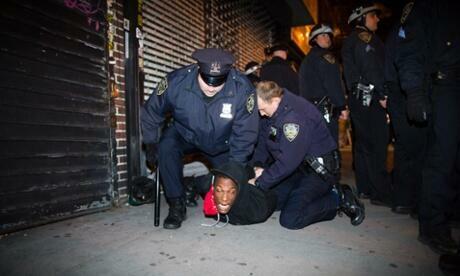 There’s no way to spin #myNYPD as a good outcome for either the police force or the city of New York..